Jim has a national securities and commodity futures litigation practice. In addition, he has a general corporate practice, counseling business owners on: types of business entities, formation of business entities, governing documents and governance, reporting, compliance and best practices. Jim began his career in 1972 as a Trial Attorney in the Division of Enforcement at the United States Securities and Exchange Commission in Washington, D.C. In 1975, Jim joined the Chicago Board Options Exchange, Inc., as Assistant General Counsel. In 1977, Jim entered private practice. In addition to his practice, Jim has been on the Adjunct Faculty at IIT Chicago-Kent College of Law and taught Securities Regulation from 1976-2002. Jim is currently on the Adjunct Faculty at his alma mater, the University of Denver, College of Law, teaching Securities Litigation. Jim also serves as an Adjunct Professor in the Para-Legal Program at Colorado Mountain College. 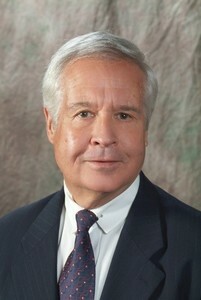 Jim has authored over a dozen law review articles and is a frequent lecturer and panelist on CLE Programs related to: Securities, Commodity Futures, Corporate Law, and Dispute Resolution – Arbitration and Mediation. Jim resides in Steamboat Springs, Colorado.